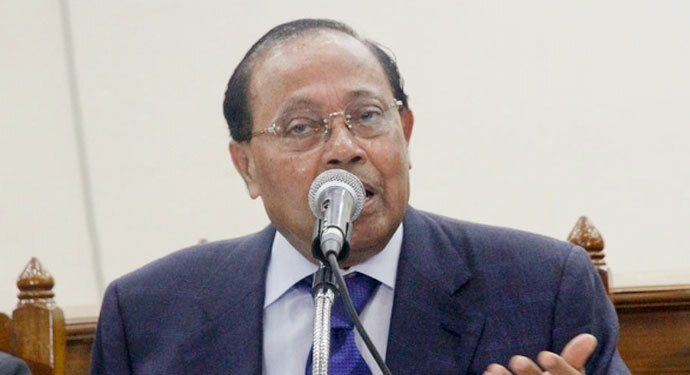 Bangladesh Nationalist Party (BNP) senior leader Moudud Ahmed on Friday hinted that their party will come up with harsher programmes after Eid-ul-Fitr as it is the only way to realise their demands and free their chairperson Khaleda Zia from jail, reports UNB. “I admit that it’s not possible to ensure Khaleda Zia’s release through court and peaceful action programmes. I think street agitation is the only way,” he said. Khaleda Zia Mukti Parishad arranged the programme at the Jatiya Press Club demanding the BNP chairperson’s release from jail. Otherwise, Moudud, a BNP standing committee member, said the Prime Minister’s India tour will turn into a failed one. Moudud said their party is working out strategies to foil the ‘evil plans’ of the ruling party to rig Gazipur election in the same technique they used in Khulna. “It was the election of police and Rab, not of people, in Khulna. It was also not a fair and credible election there. Now they (AL) are out to hold the Gazipur polls in Khulna style,” he observed. The BNP leader said their party leaders and activists will make their all-out efforts so that the ruling party cannot hold the Gazipur polls in Khulna style.